Visual content, curation and storytelling are the three emerging trends for 2012 when it comes to emerging niche social networks. Our recent Guide to Pinterest for Brands met with such a warm welcome that we're doing the same now for Tumblr. In this first part we're outlining what it is, how it differs from other sharing networks and how brands are already using it. For more detail, please see our eBook: Tumblr Tutorial for Brands. Unlike content based, older forms of networking (Twitter, Facebook, LinkedIn,) services like Pinterest, Posterous (recently acquired by Twitter) and Instagram allow users to share visually in a way that bypasses personal networks, commentary and conversations, and instead relies on viral spread. 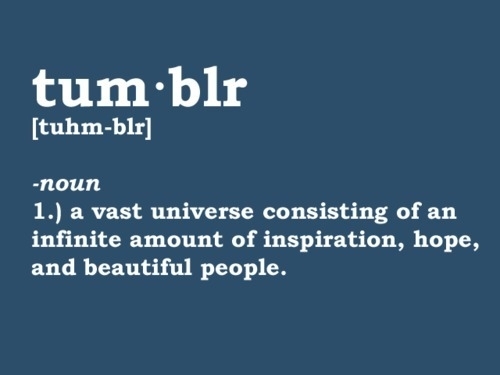 In Tumblr's own words, Tumblr is about "millions of people sharing the things they do, find, love, think, or create." The curation and identity points are so strong that some Tumblr authors have found themselves with book deals based around the concept of their micro-blog. But what exactly is Tumblr? Tumblr is a bit like a Twitter and WordPress mash-up. 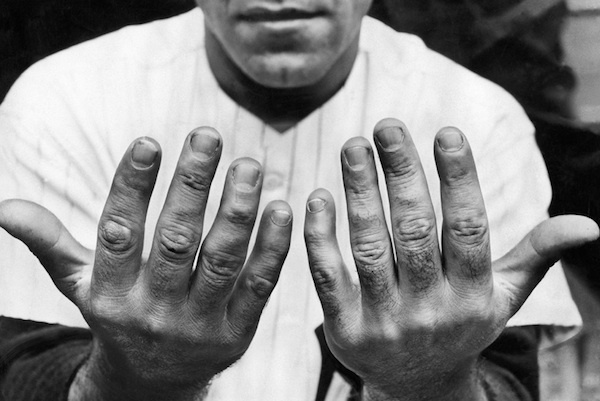 Tumblr is both a microblogging platform and a social network where "short form" content rules. Anytime a user sees something interesting online, a quick click on a "Share on Tumblr" bookmarklet tumbles the snippet directly. Unlike the "web logs" of yesteryear, wordy personal reflection and super-techie customization are considered passé on Tumblr. As David Karp, the CEO of Tumblr puts it, "All blogs took the same form," he notes. "I wanted something much more free-form, much less verbose." Introduced in 2007, Tumblr has steadily increased in population as mobile and smartphones have become incorporated in everyday life. The site saw hockey stick growth in late 2009, as college students and tech-lovers world-wide adopted the platform. 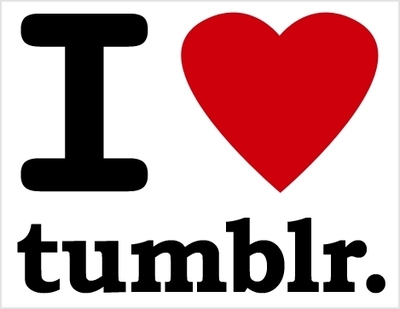 Per the comScore, users spend an average of 89 minutes per visitor a month on Tumblr. Quantcast tells us that the demographics are split fairly evenly between men and women, with the majority of users falling in the 18 - 34 age range. Approximately 50% of the traffic currently comes from the US, with the remaining percentage being international. The world of Tumblr is a wide and varied one. Personal blogs often center on a meme (aka, single topic blogs.) Design, fashion, and music all are popular focuses of the Tumblr audience. A separate style of Tumblr blog is one devoted to reblogging, or internal curation and sharing, where a member neither posts original content nor commentary on outside content, but instead "reblogs" from within the Tumblr community. Like the members of Pinterest, Tumblr users have a constant stream of new and interesting content flowing on site. Music lovers congregate on Tumblr, eager to share the next best thing, archive minutia (MVMVMV) or celebrate their collective good taste (Songs You Used to Love.) It can be an uneasy balancing act for a brand to try its hand at authenticity and promotion at the same time, but a few major brands are giving it a go - including EMI, Sony Music Canda, and MTV. Major artists are also willing to experiment with the platform, with the Beastie Boys, Brittany Spears, and Mike McCready contributing. Fashion is huge on Tumblr, with everything from street-style blogs to brands representing. As fashion is all about a point of view, it is no wonder that it should find a natural home on Tumblr. "We wanted to be blogging because we knew it was relevant; that's what smart, stylish woman do these days: they blog or read blogs," says Julie Fredrickson, Ann Taylor's digital marketing manager. Nielson research agrees. Celebrities are finding a home on Tumblr, where their curious mix of personal, promotional, and taste-making comes off as intimate and genuine, even when a publicist or social media team is at the helm. Lady GaGa, Joseph Gordon-Levitt, and Zooey Deschanel and even US President Obama are but a few of the big names who have established Tumblr blogs. Journalism is such a valued portion of Tumblr, that Tumblr recently hired its first Editor-in-Chief, to hand-pick the best Tumblr links and pages and showcase them. Tumblr's vice president Andrew McLaughlin says that by supporting journalist members, Tumblr will be able to provide original content that is "real journalism and analysis, not P.R. fluff." For publishers especially, there is a great opportunity for cross-channel marketing, where a small snippet from a more in-depth source might be pulled and presented as a teaser or stand-alone piece. Rolling Stone, Elle Magazine, and Huffington Post are just a few of the major media presences on Tumblr. Is Tumblr right for your brand? Without a committed curator, however, no Tumblr blog is successful. The content stream has to remain constant and engaging, otherwise even strong starts can end with a string of unfollows. That kind of creative outputcan be taxing. While an ordinary user can start a new Tumblr whenever he likes, for a brand the stakes of experimenting are much higher. In the next post we'll continue our look at Tumblr with a walk-through of Tumblr's tools and management strategies with eModeration's Tumblr Tutorial for Brands, Part II: The Hands-On Guide.